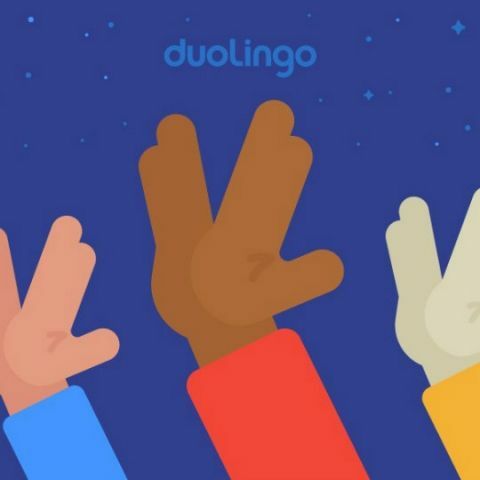 Trekkies can now learn the language of the fictional alien race, Klingon via the Duolingo language learning app. Besides a slew of new movies and even a TV show, fans of Star Trek have another reason to rejoice. Popular language learning app, Duolingo has introduced a new course that allows users to learn Klingon. A language spoken by the extraterrestrial race of the same name in the sci-fi series. As with other languages in Duolingo, the course guides users through the various phrases and words used by the fictional Klingon people. While the Klingon race may not be real, the language itself is. It was created by American Linguist, Marc Okrand for the show. The language has been used by self-professed trekkies and is an integral part of geekdom. Duolingo states at the start of the course, “Klingon is the constructed language spoken by the fictional extraterrestrial Klingon species in the Star Trek universe. Created by Marc Okrand, the language itself is centered around spacecraft, warfare, and weaponry — but it also reflects the directness and sense of humor of the Klingon culture. For example, the closest word you can use to express "hello" is "nuqneH," which actually means "What do you want?". There are also plenty of insults, as it is considered an art form.” The app and the course are free, but users can pay a little extra to remove advertisements. Once you are through with the course, you will have (hopefully) mastered enough of the language to head over to the next Star Trek convention of convention and say “tlhIngan Hol vIyaj, ” or “I understand Kingon.” Of course, if you prefer Game of Thrones to Star Trek, then you could even give High Valyrian a shot.